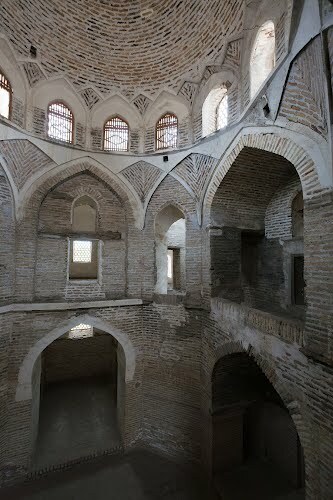 Abdullah-khan madrasah built in 1588-1590, is one of the most outstanding objects of Central Asian architecture. The main principle of the structural building remained unchanged - the premises are located around the front yard. However, the construction is much more complicated: the main entrance has a tall portal which is linked to the wings with two-stored premises and the gallery on the upper floor. Impressive size of the facade and the variety of the decorative ornaments grant the building with colorful and majestic view. In bright sun light, the cold tones of majolica plates shine very brightly. 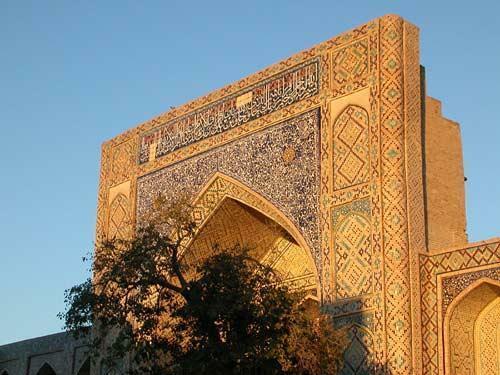 The doors of madrasah are designed with astonishing artistic input, gathered from separate parts of the tree with thin carvings and without a single nail. 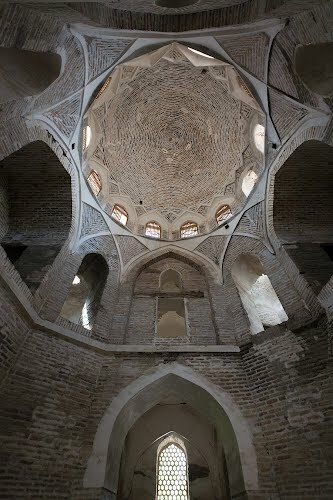 The architecture of this building was controversial as rather than being orientated towards Mecca, its position is determined by the cardinal points, the facade mirroring that of the Modar-i Khan Madrassa opposite. 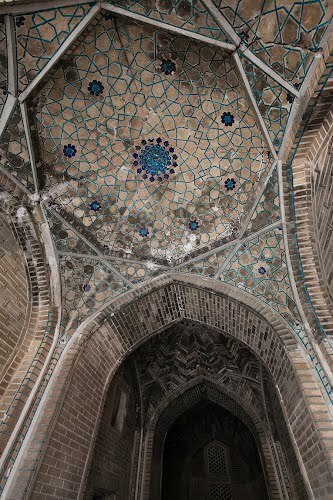 Abdullah Khan is buried inside, his tomb lying on the north-south axis as is traditional for an Islamic burial; the building, one might argue, was laid out not for the glory of God, but for the convenience of Abdullah Khan. 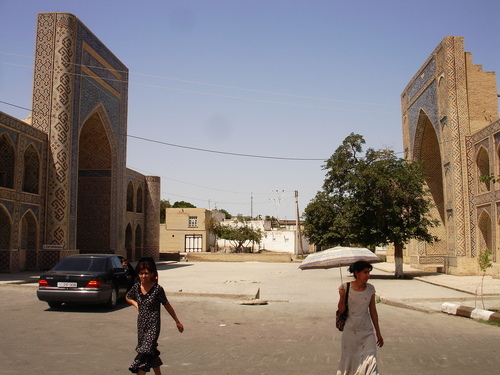 Abdullah-khan madrasah is one of the biggest in Bukhara after Kukeldash and Mir Arab. Kosh means «double». 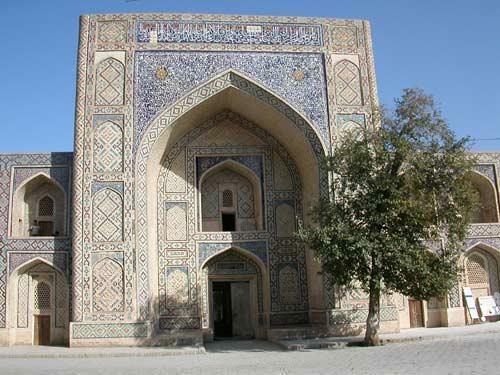 Ensemble includes 2 buildings: Modari-khan Madrasah and Abdullah-khan Madrasah.